MINNEAPOLIS — Doc Rivers read the preseason predictions that said his team might win 35 games, at best. Neither the Clippers coach nor his players took much stock in all that. 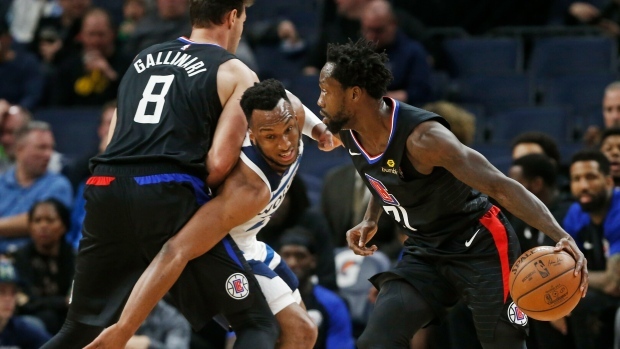 Danilo Gallinari scored 25 points and Los Angeles clinched a post-season spot Tuesday night with a 122-111 win over the Minnesota Timberwolves. Rivers' club is back in the post-season after falling short a year ago. The Clippers finished 42-40 last season, missing the playoffs after making it six straight years — four under Rivers. The Clippers (45-30) became the fifth Western Conference team to secure a post-season berth. With seven regular-season games to play, Los Angeles still has a shot at earning home-court advantage in the first round.